June 19, 2013 - The Supreme Court agreed Monday to hear the case of Air Wisconsin Airlines Corp. V. Hoeper, William L. This case involves Hoeper who was a pilot and a federal flight deck officer (FFDO) with Air Wisconsin, as a FFDO, Hoeper was allowed to carry a handgun. Back in December 2004, Hoeper failed his flight tests, he was to board an aircraft as a passenger and return home but he was arrested at the airport by TSA as Air Wisconsin had reported him as being a security threat. Hoeper sued the carrier and won a $7 million judgment. Air Wisconsin appealed the case to the U.S. Supreme Court. Air Wisconsin employed William Hoeper as a pilot. The Transportation Security Administration (TSA) had issued Hoeper a firearm under a federal statute that authorizes TSA to deputize volunteer pilots as federal law enforcement officers to defend the flight decks of aircraft against acts of criminal violence or air piracy, known as a federal flight deck officer. Air Wisconsin discontinued its use of the type of aircraft that Hoeper had piloted for many years, Air Wisconsin required Hoeper to undertake training and pass a test certifying his proficiency in piloting another type of aircraft. Hoeper failed three flight simulator tests. Patrick Doyle, a manager at Air Wisconsin involved in Hoeper's testing, testified that after the second failed test, Hoeper lost his temper with Doyle. Doyle's notes of the second test day, did not mention the confrontation. Testimony established that Doyle and Hoeper drove together to their hotel after the meeting and had a drink together at the hotel bar. Also, another test administrator testified that, after the third failed test, Hoeper confronted him, but Hoeper's demeanor was not threatening. After the three failed tests, Air Wisconsin gave Hoeper one last opportunity to pass the test. Hoeper knew that he would likely lose his job if he failed this fourth test. He flew from his home in Denver to Virginia to take the fourth test. During the test, Hoeper allegedly became angry with the test administrators because he believed that the test administrators were deliberately sabotaging his testing. One administrator, Mark Schuerman, testified at trial that Hoeper ended the test abruptly, raised his voice at Schuerman, and used profanity. Schuerman testified that Hoeper's outburst startled him and that he feared for his physical safety during the confrontation, but not after the confrontation ended. Testimony also established that Hoeper told Schuerman that Hoeper intended to call the legal representative of the airline pilots' union to which he belonged. After Hoeper left the testing facility, Schuerman told Doyle about the confrontation. Specifically, Schuerman testified that he told Doyle only that Hoeper blew up at him and was "very angry with [him]." Schuerman did not tell Doyle that he or anyone else at the testing center believed Hoeper would harm them or others. Doyle then instructed another Air Wisconsin employee who participated in the failed test to drive Hoeper to the airport and Doyle booked Hoeper on a flight from Virginia back to Denver. Doyle never sought nor received any additional information about the confrontation from others who were at the testing center that day or about Hoeper's demeanor after the confrontation. Doyle knew that Hoeper was an FFDO pilot. He did not know if Hoeper had his Government issued firearm with him on the trip to Virginia, but he knew that Hoeper would have violated FFDO rules by carrying the firearm as a passenger on the airplane from Denver to Virginia. He also never sought nor received any additional information about whether Hoeper actually brought his firearm to Virginia. Based upon this information, Doyle called TSA to report Hoeper as a possible threat. By the time Doyle called TSA, Hoeper had been at the airport for about two hours waiting for his flight. After the call, Doyle wrote in his personal notes that he had told TSA that Hoeper was "a disgruntled employee (an FFDO who may be armed)" and that he was "concerned about the whereabouts of Hoeper's firearm, and his mental stability at that time." At trial, Doyle denied having told TSA anything about Hoeper's mental stability. He added that he did not have the ability to assess Hoeper's mental stability. In court the parties agree that Air Wisconsin was legally responsible for Doyle's statements. The jury found that Doyle made two statements to TSA, Hoeper was an FFDO who may be armed. He was traveling from TAD-DEN later that day and that they were concerned about his mental stability and the whereabouts of his firearm (Unstable pilot in FFDO program was terminated today). In response, TSA officials arrested Hoeper and searched him. The day after this incident, Doyle made notes about the meeting with Hoeper that occurred immediately after the second failed test. Doyle wrote that, after Hoeper lost his temper, Doyle ended the meeting "for fear of his own physical harm." He also noted that "after heated discussion with Hoeper, and due to his concerns for his safety," Doyle did not fully fill out a certain FFA form regarding the failed test. Doyle later changed these notes to read "due to my concerns for my safety and the safety of others at the testing facility." Hoeper brought this action in Colorado against Air Wisconsin for defamation under Virginia law, among other claims. 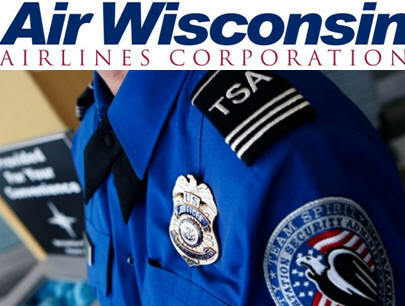 Air Wisconsin moved for summary judgment, asserting that it was entitled to immunity as a matter of law under the ATSA. The trial court denied the motion because it determined that a jury was entitled to resolve disputed issues of fact. Air Wisconsin also moved for a directed verdict under the same theory after the close of evidence, which the trial court also denied. The trial court instructed the jury on the components of ATSA immunity and instructed that the jury could not find for Hoeper on the defamation claim if it determined that Air Wisconsin was immune under the ATSA. The jury returned a verdict in favor of Hoeper. The jury found by clear and convincing evidence that the two statements were defamatory and that Air Wisconsin made one or more of the statements "knowing that they were false, or so recklessly as to amount to a willful disregard for the truth." Air Wisconsin appealed and the court of appeals affirmed. It concluded that, under Colorado law, the trial court properly allowed the jury to determine whether the ATSA granted Air Wisconsin immunity in this case. The court of appeals also determined that clear and convincing evidence supported the jury's finding of actual malice and that the statements Doyle made were not protected as opinion or as substantially true. Air Wisconsin petitioned for judicial review, which was granted. Hoeper eventually won his case in the Colorado Supreme Court, the court denied Air Wisconsin immunity from this defamation lawsuit the court found that Air Wisconsin "overstated" its concerns. Hoeper won $1.4 million in a jury trial.